The cross was not only a horrible way to die, in the sense of physical pain, but it was also considered shameful. Yet Paul talks about boasting in the cross. The cross of Jesus Christ deals with all of our sin. God’s mercy is new every morning. If you are perfectionist or guilt prone, you feel that your sins are worse than anyone else. When God’ mercy comes in, you say, “Yes, but…” It’s not true though. You’re not especial a sinner; you’re a plain old sinner like the rest of us. We need to have a “preference, a penchant, and a passion for the cross.” Preference means what we want, penchant mean what we strongly prefer, and passion means what we’re all about. If you can’t pray for a passion for the cross, yet, then pray for a penchant or even a preference. Think about the excitement when the Royals won; imagine that kind of passion for the cross of Jesus. The job of pastors is to bring the church to this point: measure of the stature to the fullness of Christ. In the original language is translated perfect, and it has to do with completion or maturity. It’s about all of knowing Jesus personally and learning to grow to his standard. In Romans 8:29 the good God is trying to work in us to conform us into the image of Jesus so there are many brothers and sisters. God takes all things and uses them to make us look like Jesus. We will look, talk, and act like Jesus. In addition, we will be passionate about what Jesus cared about. Jesus served the people with miracles to the point of raising the dead. The people’s response was to plot against Him to have him killed. The Jews could only stone without permission; crucifixion was the Roman specialty. Pilate knew he was innocent, but was too cowardly to do anything about it. After being beaten and humiliated, He should have had the right to throw those people away and condemn them before God. He didn’t though, he said, “Forgive them.” That’s the heart that we’re being taken toward. When the preciousness of looking like the Savior is greater than the problems and troubles you see, then God becomes real. He can change our world because He’s now in it, through our submission to Him. If we are praising God for this, nothing in this life is wasted. Instead, all can be made to His glory and our blessing. Good parents are made not born. It’s a twenty (thirty?) year building project. Learning doesn’t begin where the teacher is, it begins where the student is. Parenting doesn’t begin where the parent is, it begins where the child is. We often parent based on how we were parented. Parenting should be based on each child, instead, and may change with each child. We work with the child based on the age of a child and their learning style. Some children learn from wisdom: learning from the experience of others. They can watch what others do and make wise choices from there. Some children learn from consequences. Watching someone touch a hot stove means they want to touch it too. Great players known the value old of coaching. If you could solve all your kids problems, it’d be already fixed. Grandparents, successful parents, truth telling friends, spiritual mentors – all make great coaches. 3. Stay humble not haughty. Humility is not thinking less of yourself; humility is thinking of yourself less. In our culture, we have many idols, one being that we .ake an idol of our kids. We want to use our kids to compensate for own our failures or to make us look like awesome parents. Stay humble and admit when you don’t know something and keep your perspective on Christ. Make sure your kids know that there is nothing they can do to lose your love. Never use withdrawing your love or your presence as a form of punishment. Your kids are going to become who you are. You need to become the kind of person that you want to your kids to be. Work at becoming that person. One of the best gifts you can give your kids is who you become. Arrows are meant to fly. No matter how good your aim or how good your technique, if you don’t let go of the arrow, you’ll never hit your target. 1. The point of parenting is a propulsion system, not a prison system. We need to fight back against being the warden and more like Kennedy Space Center. We should use our security in order to keep the wrong people out so the right thing can be released effectively. 2. Each child has a mission. Menoah is the father of Samson. When the angel tells him he’ll have a son, he asks “What will be his manner of life and what is to be his mission?” We should be conscious of working with the Lord to help them find their purpose and teach them how to use their gifts. 3. A clean release is the result of Godly stewardship. The moment that you realize God’s unconditional love and His grace it changes things. Nothing that we own or anything we’ve accomplished is our own. We came into this world naked and screaming with nothing and that’s how we’ll leave as well. One day we’ll be held accountable for how we stewardess our gifts. Our children our one of the gifts we’ve been given. We will be held accountable for how we’ve supported and released that gift. 4. At the end of the day, the only hope we have of keeping them, is to let them go. There’s no way to guarantee a child will serve the Lord. The book of Proverbs tells us that raising a child in the way he should go and he will not depart from it when it he is old. That’s wisdom and not a promise. We have to learn how to teach them without forcing love or forcing choices on them. Remember, unless the Lord builds a house, the builders labor on vain. We can’t do this parenting thing, but the Lord can. Psalm says children are arrows in the hands of a warrior. What is the thing that we’re aiming for? What is the target? Children are a blessing, not a burden. Once a child shows up, the circumstances of that birth no longer matter. Kids don’t often feel like a blessing, sometimes. When we read in the scriptures that God is like a loving parent, it can feel overwhelming that we will influence our children’s view of God. Take hope in Romans 8:18 that says our reality is temporary and His glory that will be revealed is amazing. We are whittling and sharpening our arrows so they can be effective. There are different arrows, but there is only one target.What is the goal of this journey of parenting? Matthew 6:33 “seek first the kingdom of God and all these things will be added as well.” The target is knowing Jesus Christ. If we fail our children at this, we fail at all else. What is your family serving? What thing do you sacrifice everything for? Sports? Academics? The family business? Ultimately it’s the archer that determines the direction of the arrow. At the end of the day, if the kids are doing their best, their success shouldn’t be number one. In our culture we sacrifice alot on the alter of achievement. We should define success as seeking first the kingdom. 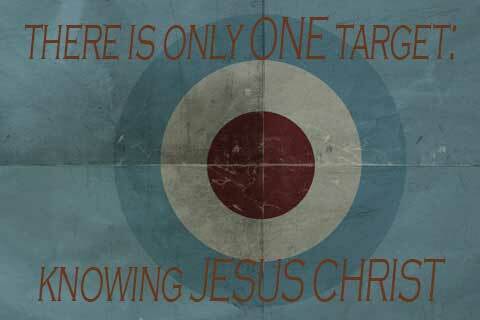 When you set the target for your family, make sure it’s an eternal way. What does it look like to parent this way? The next five weeks will equip you to answer this. We’re looking at part of the story where the younger brother is pondering returning home. After his return, we see the father accept him with joy and a party. What does the feast represent? Think about your fondest memories of childhood and a time that you would like to recreate. This return represents our ultimate return to our relationship with God and being with him. Everyone is invited back into communion with God. There the longings of our hearts will be quenched. This is the feast to come. Sometimes the focus can be, “Grab as many lost sons as possible, throw them in the back of the truck and let’s head to God’s house.” That’s great but it’s missing the idea of the celebration that’s waiting for us. God is creating delectable delights for us when we return to him. See John 6:35 and Rev 7:16-17. We can have a taste of r his feast and communion with him. There are (more than) 4 ways we can experience this in a small way now. The Bible describes our experience with God using dense filled experiential words. This knowledge we have of God goes beyond just head knowledge. We can fully experience Him. Our salvation is a material thing. Heaven is going to be a real physical thing. If you haven’t been taking care of the physical problems of others, then you aren’t expressing an understanding of salvation. Miracles aren’t breaking the laws of physics, he is restoring things to their Gid-intended state. When we are serving others, we are expressing that we care. Salvation will be an individual thing. Just like eating fills us up; we don’t eat for someone else. We each have to partake of salvation on this earth. To forgive, love, give,be faithful, then you must experience those things through Jesus Christ. Acknowledge that our salvation is communal just like the feast is a group event. Our foretaste of salvation is to be with others. If I’m not walking with you as you walk with Christ, there are aspects of Christ I can’t access.